First Samurai became the second Claiborne Farm stallion to have a viable 2019 Kentucky Derby hopeful when his son Cutting Humor narrowly edged late-running Anothertwistafate to win the G3 Sunland Derby in track record time March 24. Other Claiborne sire War Front is represented by Kentucky Derby hopefuls War of Will, winner of the G2 Risen Star Stakes; and Omaha Beach, who scored in the G2 Rebel Stakes. 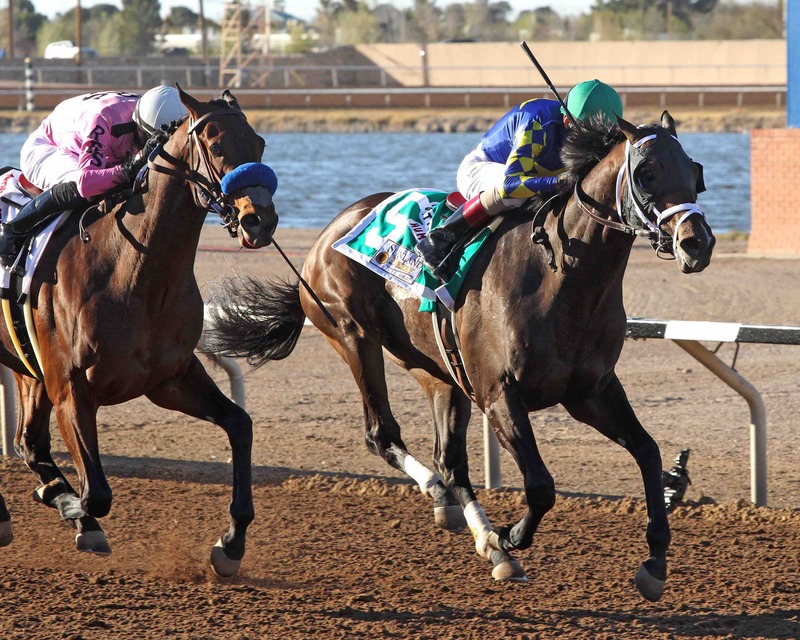 The Todd Pletcher-trained Cutting Humor went five wide around the far turn of the Sunland Park Derby after tracking a quick early pace under jockey John Velazquez. He prevailed by a neck over a fast-charging Anothertwistafate. The margin of victory marks the closest finish in the history of the race. The final time of 1:46.94 for the 1 1/8 miles established a new stakes and course record, bettering the time of Oh So Regal, who ran the same distance last year in 1:47.12. With the win, Cutting Humor all but assures himself a spot in the starting gate for the May 5 Kentucky Derby. The top four finishers in the Sunland Derby earn qualifying points for entry into the Run for the Roses. With the victory Cutting Humor is firmly on the leaderboard with 50 points. Cutting Humor has won or placed in five of his six lifetime starts. His victory in the Sunland Derby adds $460,800 to his lifetime earnings, which now stand at nearly $516,967. First Samurai is the sire of four millionaires, including G1 winners Lea (also a Claiborne stallion) and Justin Phillip. He stands for $15,000 at Claiborne.